WASHINGTON — On the eve of Coast Guard members missing their first paycheck of the ongoing government shutdown, the service’s top commander promised that their efforts “have not, and will not, be forgotten” by political leaders and the public. “While our Coast Guard workforce is deployed, there are loved ones at home reviewing family finances, researching how to get support, and weighing childcare options,” Coast Guard Commandant Adm. Karl Schultz wrote in a social media post late Sunday. “They are holding down the fort. Tuesday marks the first paycheck that Coast Guard members will have delayed by the ongoing 23-day government shutdown, now the longest in U.S. history. About 43,000 members of the force are working without pay, and another 10,000 Coast Guard employees furloughed while the budget stalemate continues. On Friday, more than 700,000 other federal workers missed their paychecks. 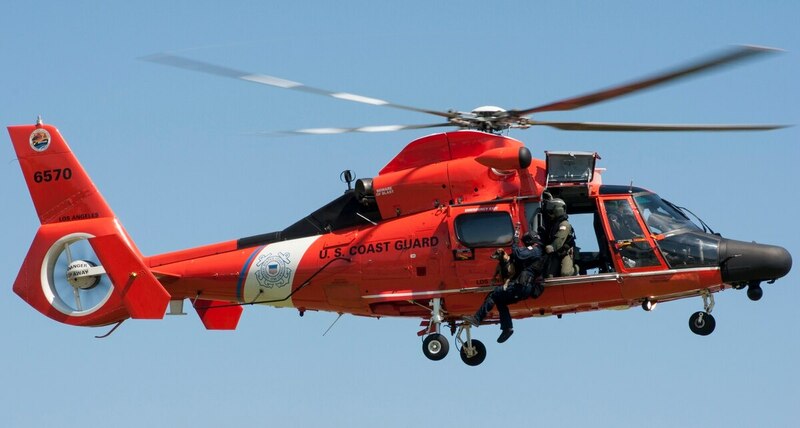 Coast Guard members had been expecting to miss their last paycheck on Dec. 30 as well, but a last-minute move by Department of Homeland Security officials freed up about $75 million in funds needed to cover that pay period. The shutdown has continued as White House and congressional Democrats have been unable to reach an agreement on more than $5 billion in southern border wall funding that President Donald Trump insists must be approved for the government to reopen. Several federal agencies, like the Departments of Defense and Veterans Affairs, have remained operating without interruption because their funding was approved last fall. But unlike other military troops, Coast Guard service members are funded through the Department of Homeland Security, one of the agencies held hostage by the shutdown. In his posting, Schultz noted that many Coast Guard operations worldwide are continuing despite the funding lapse. Members of Congress and federal employee union leadership called for an end to the weeks-long partial government shutdown. “In Antarctica, the USCGC Polar Star is at the ice edge ready to clear a path thru multi-year ice to support U.S. Indo-Pacific Command’s Operation Deep Freeze,” he wrote. “In the Middle East, crews from U.S. Coast Guard Patrol Forces Southwest Asia are conducting maritime security operations in the Arabian Gulf for U.S. Central Command. The Washington Post reported last week that in an effort to discourage Coast Guard families from declaring bankruptcy because of the missed paychecks, the Coast Guard Support Program published a tip sheet suggesting families hold garage sales and take up babysitting jobs. The memo was recalled after a public outcry over the proposals. Lawmakers have offered several proposals in Congress to reauthorize Coast Guard pay even while the shutdown continues, but thus far have not made progress in advancing the measures. Trump on Monday again said he is considering declaring a national emergency to end the shutdown, allowing him to use military funding to pay for the border wall. But he also said he is in no rush to make that move, preferring Congress act to fix the problem.